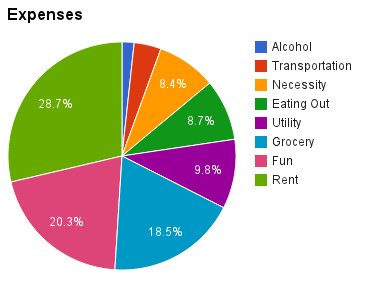 A lot of people ask me how I can afford to live in Asia working 14 hours a week. The answer, and the reason I'm still here, is, how can I afford not to? 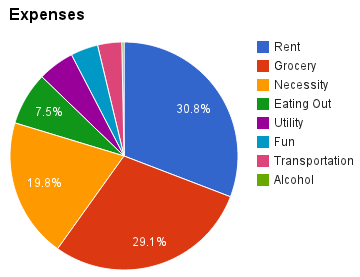 Here's a financial breakdown for the past two months I've lived in Taipei. I work 14 hours a week at 630TWD/hour (21USD/hour). Most people work closer to 20 or even 30 hours, making far more money than me. I try to be frugal when possible but slip up occasionally, especially regarding food. Furthermore, my high-protein bulking diet is a bit more expensive than the average person's diet, especially since I buy protein powder monthly. I live in a location that allows me to use a Ubike in my daily work commute, which has a startup cost of 0 and a daily usage cost of 0, courtesy of the Taipei City Government. Fun things I've done these last two months are go on a few hikes, go clubbing (~500TWD per), and go on a trip to Kenting (~5000TWD). I'll update this post with May on June 10th. Kiddoland was my old kindergarten I worked at. The paycheck was so large because they paid me for February and March in March right before letting me go. The pay period is 10th to the 10th, so that is how these are organized.